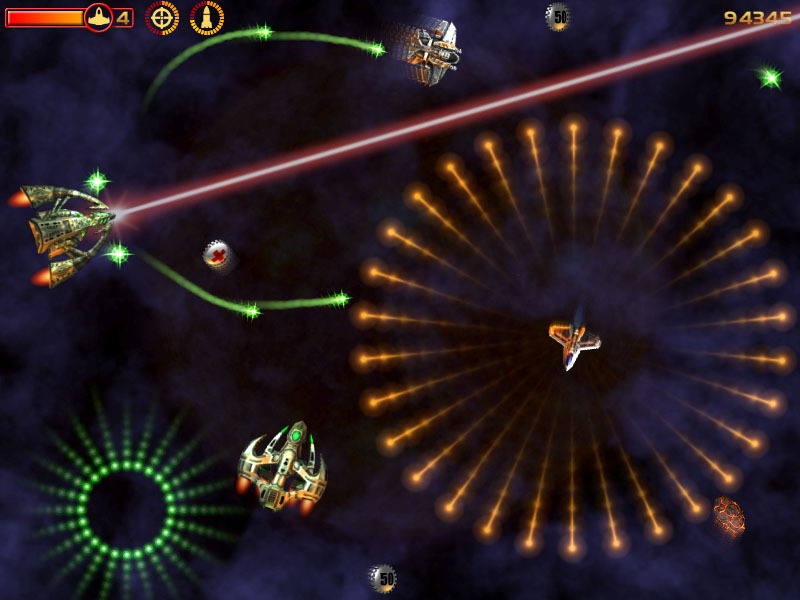 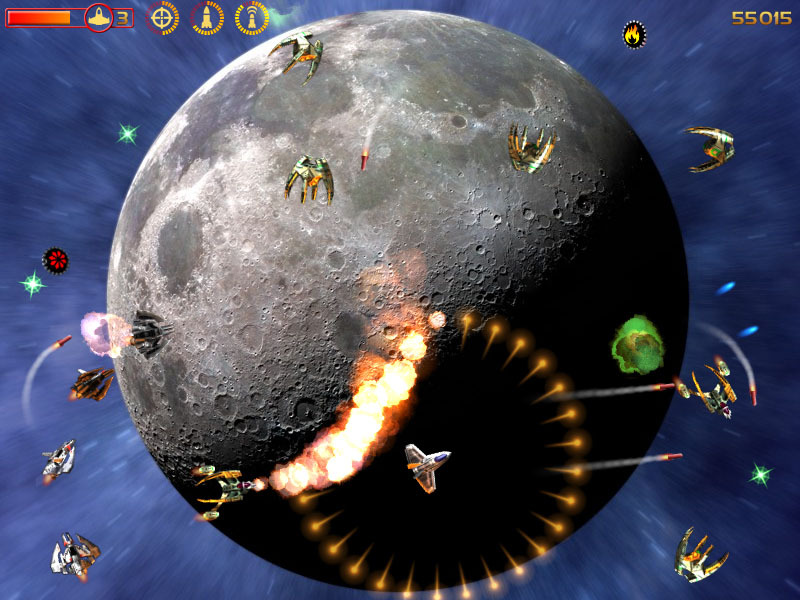 Your mission is to defend New Earth from an evil alien armada. 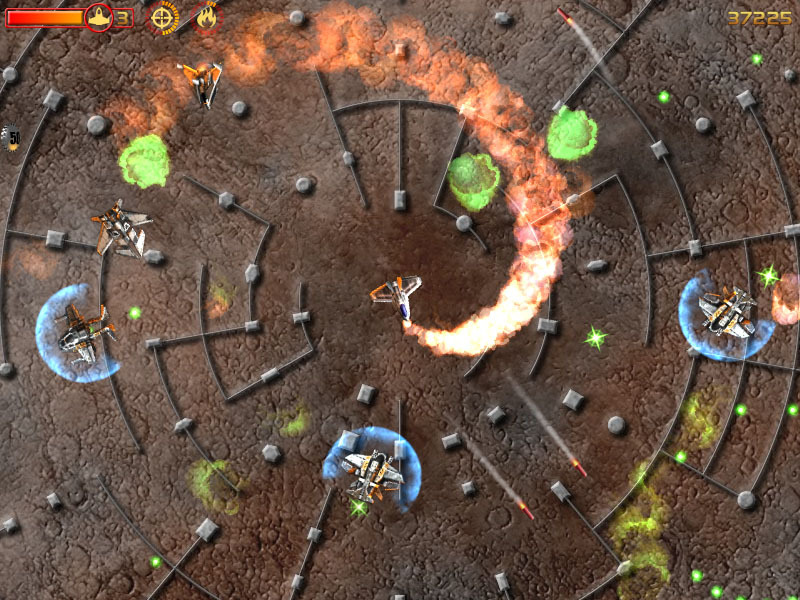 The rules are simple: shoot everything and try to stay alive! 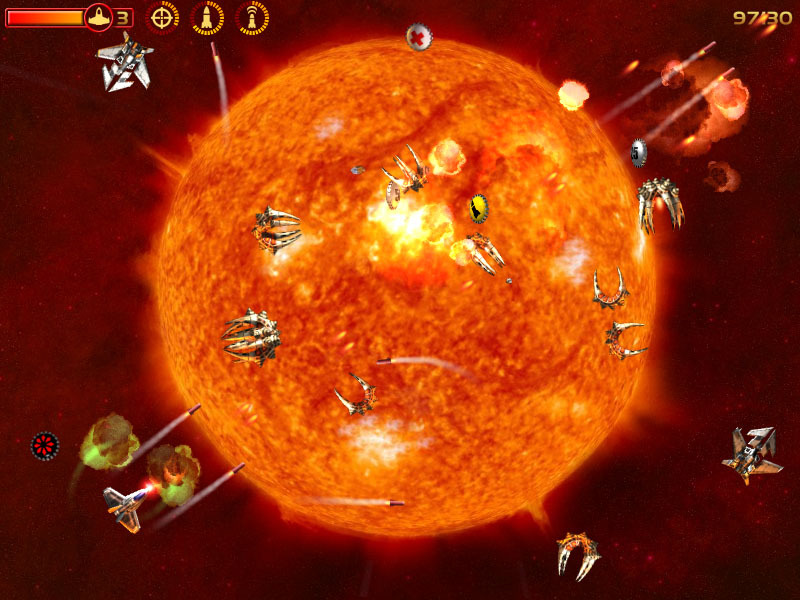 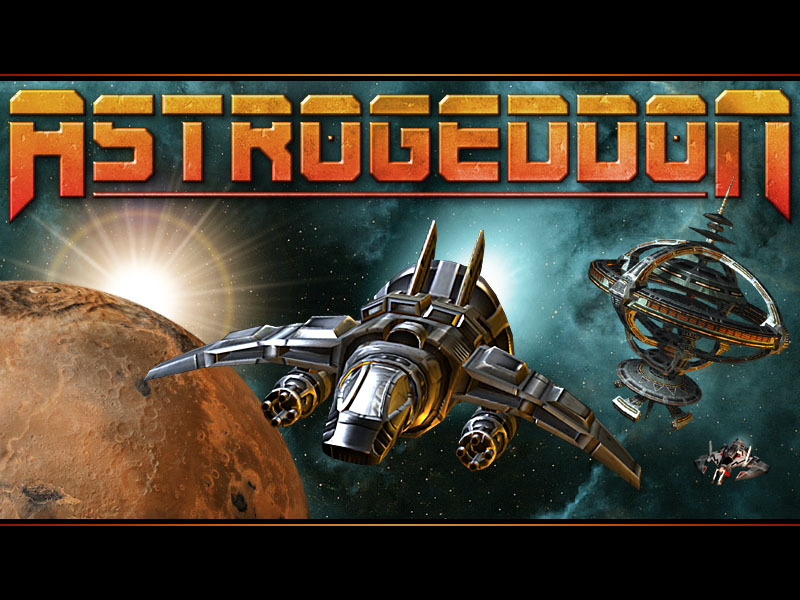 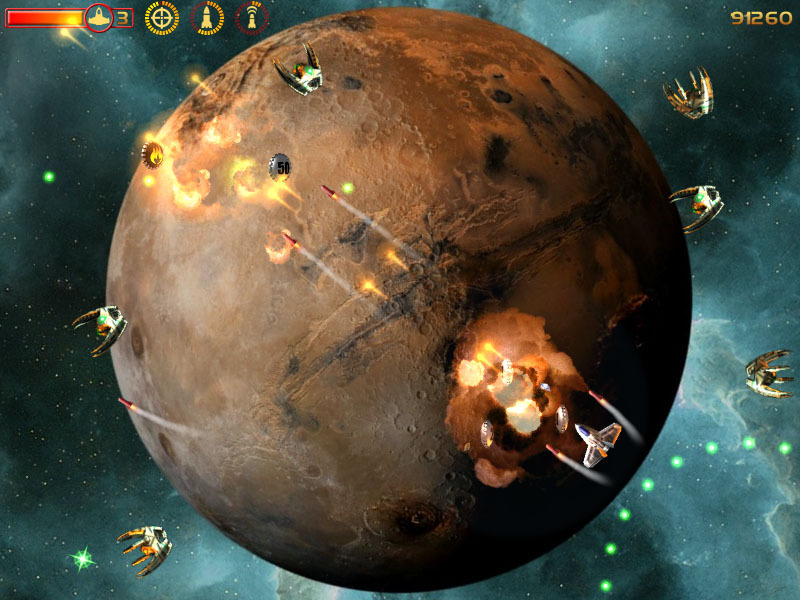 Astrogeddon's fully rendered 3D graphics give a fresh new spin to a classic genre. 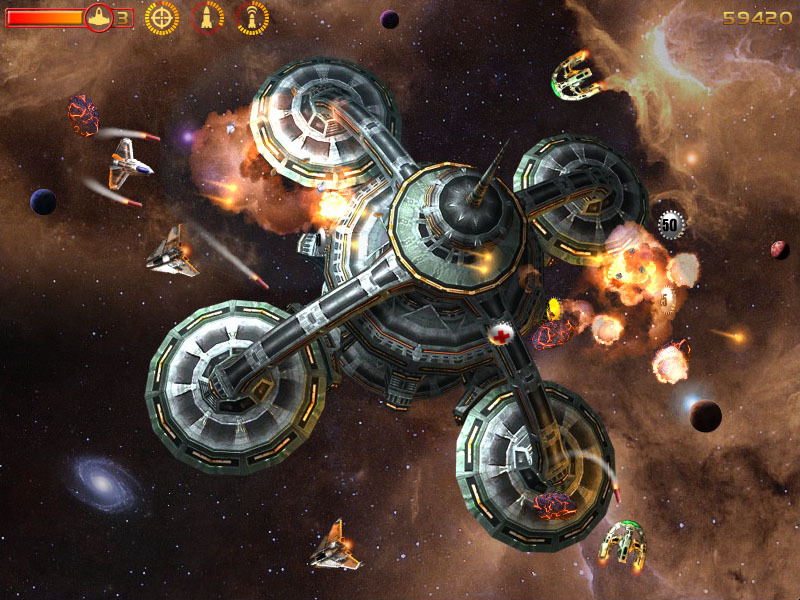 The game features 360-degrees freedom of movement, huge explosions and more than 20 types of enemy spacecraft, spread over a massive 100 levels. 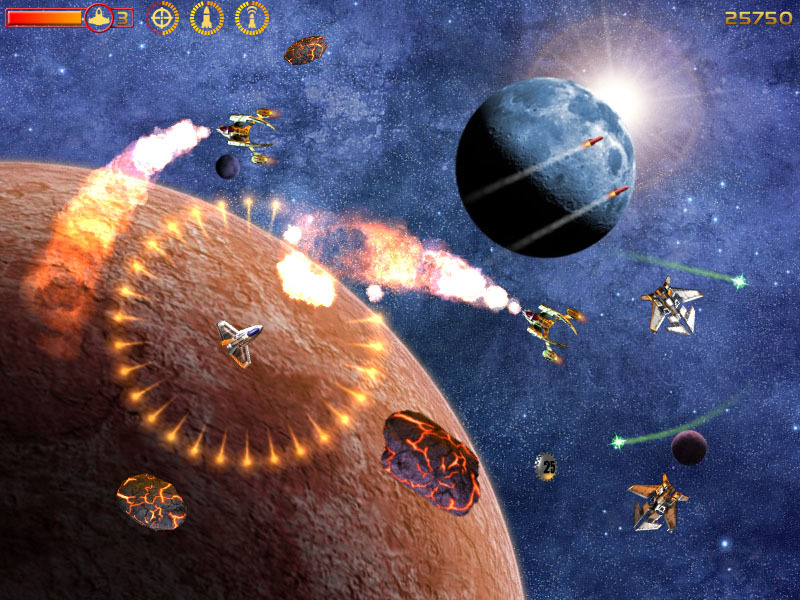 Power-ups include cannon upgrades, guided and unguided missiles, starbursts and even flamethrowers.